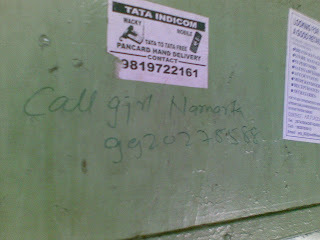 I notice that in Mumbai, the daily soaps, programs and reality shows finds its way into trains and buses. The whole of Mumbai(atleast the working population), on an average travels 40 minutes-60 minutes a day one way, so they are bound to come across some TV promotion or channel promotion. 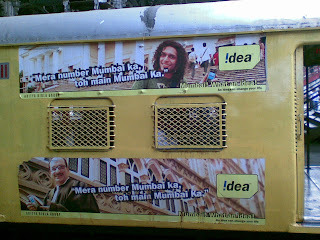 When IDEA launched its media promotion, it plastered all the Mumbai trains yellow. Now thats one way of announcing yourself with a bang and whenever there is a splash in Mumbai, the Mid-days and Mumbai Mirrors add to it, by spreading the word. 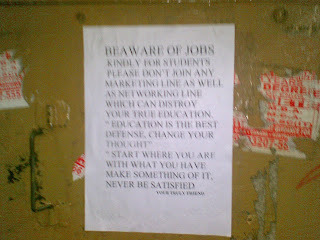 I need somebody who can put my advt posters (1' x 1'6")in mumbai local trains, BEST bus and other places. Sports Marketing- Can We Look Beyond Cricket? Zindagi Train Hain, Waqt ke track pe! Mumbai Gearing up for ' Ganapati Bapa Morya"